On the banks of Lake Umuzi, Umuzi Lodge is nestled between the indigenous forest of River bush willow, Acasia, Karee and White stinkwood. Umuzi means “the village” in Ndebele, the indigenous people of the area. The Ndebele styled village will make you feel as if you are in “an oasis amidst industry” as commonly referred to by visitors staying over. 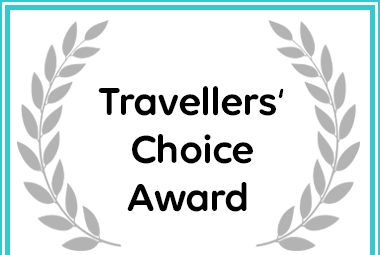 Umuzi Lodge Received an Afristay Travellers' Choice Secunda Hotel Award. Comprising 18 four sleeper chalets, 26 six sleeper chalets and a Presidential/Honeymoon chalet with spa bath and covered braai area, it is well loved by foreign visitors for its rustic, African feel yet being so close to everything. Umuzi Lodge is situated on the Lake Umuzi Waterfront, with its numerous pubs and restaurants, kids activities, theatre, and AqueZOne Water park within easy walking distance. It is a short drive from the Sasol main gate, Graceland Casino, Country club, the Secunda Mall, The Lilian Ngoyi Convention centre. Or all work and no play… This is the place to stay!!! !